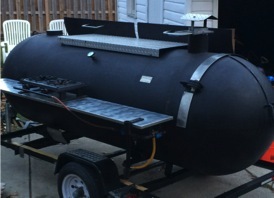 The Lakewood Police Department is seeking assistance from the public to identify a man who stole an 8-foot pig roaster parked behind TJ’s Butcher Block. 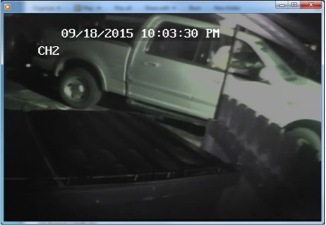 The theft occurred at around 8:30 p.m. Sept. 18. 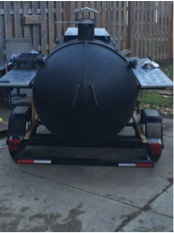 The suspect who loaded the roaster onto a trailer is described as a white male, between 6-foot, 3-inches and 6-foot, 5-inches tall, weighing between 200 to 215 pounds, with very short light brown hair, a thin build, wearing dark-framed glasses. The truck he was driving is described as an early 2000s model, Ford F-150 four-door, silver or white in color. Anyone with any information is encouraged to call Det. Jim Motylewski at 216-529-6765 or the dispatch center at 216-521-6773.